When the Renault Logan budget sedan first appeared on the Russian market, it immediately gained immense popularity among family people, who valued it for its large capacity and rear-seat comfort. However, not everyone liked the design of the car, and the practicality of such a body as a sedan, left room for many questions. Therefore, in 2008, the Sandero hatchback was released, which was intended for a youth audience that is notable for its active behavior and high requirements for the convenience of the car. Since the machines are built on a common platform, it’s better to say that Logan or Sandero is better off right away. However, we will try to find these fine lines by comparing two Renault cars. If in the previous generation the hatchback Sandero and the classic Logan sedan were completely different from each other, now it is very easy to confuse the cars in front of each other. If we talk about the differences, then you need to look at the cars in profile. Renault designers decided to focus on the similarity of the Sandero with the crossover, which was emphasized by massive rear pillars and original punchings stretching from the rear door handle to the edge of the lantern. In combination with a slight inclination of an almost horizontal roof, these elements make the Renault Sandero more massive, despite the fact that in reality the car is shorter than the Logan and does not exceed its height and width. But the Renault Logan sedan does not look so solid. It also has large rear pillars and podshtampovki on the sidewalls of the body, but these design elements are lost against the background of a massive trunk. Interestingly, the new sedan looks heavier than the previous generation Logan. This stylistic decision can be called controversial, since the Renault car has become more solid, but after updating the appearance can not be called particularly stylish and dynamic. Employees of Renault achieved their goal - two cars built on a common platform, look very different. Rear Renault Sandero does not look as original as the car of the previous generation, as the massive vertical lights gave way to compact square-shaped lighting. Now he reminds Suzuki, Toyota and even ... Chery. Although, on the whole, it turned out to be very stylish - there is not even a hint of rounded shapes that did not adorn the former Sandero too much. In Logan, there are very few changes compared to the previous generation - the lanterns have received isolated segments, and the bumper has increased in length. However, the Renault sedan remains 100% recognizable due to the raised edge of the trunk and the sloping rear window struts. 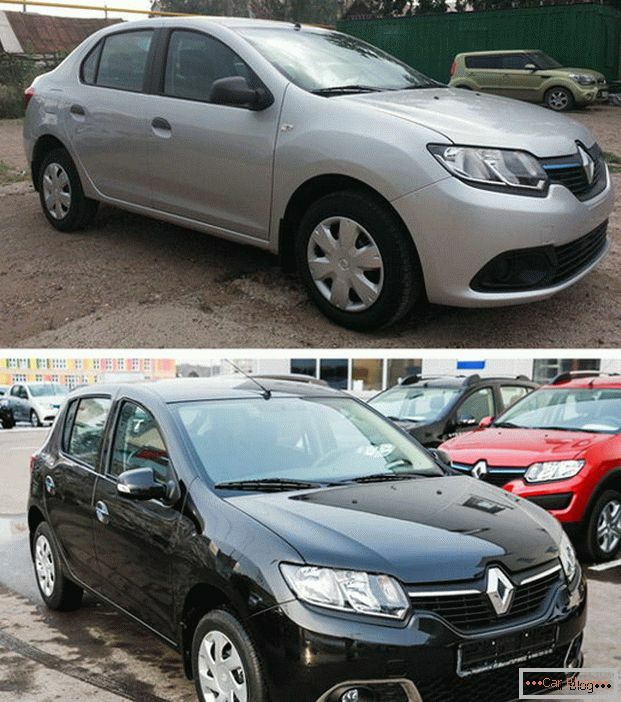 If we compare the Renault Sandero and Logan in similar trim levels, special differences in the design of the cabin can not be found. However, you should pay close attention to the rear seats. In Logan, they provide a little more space for tall people due to the increased distance between two rows of seats. However, Sandero wins the width of the cabin - three adults can sit here, as they say, straightening their shoulders. Although the height of the ceiling in the hatchback is less - the loss before the Logan is due to a slight inclination of the roof, giving the car a stylish appearance. And now we should talk about the main difference, which is represented by the trunk of a car. With the rear seats folded out, the volume of cargo space at the Renault Sandero is only 320 liters - although this indicator is quite good for its class, you cannot take a lot of things on such a machine. However, it is necessary to expand the rear sofa completely, and the owner of the car becomes available space of a little more than 1.2 cubic meters. The mechanism of transformation of the seats in Sandero works incredibly simple - to use it you do not need to make any effort and look for hidden hinges - just pull the lever, which is located directly in the upper part of the backrest. In the trunk there is a convenient removable shelf that can withstand up to 25 kilograms, as well as a full padding of the fifth door and a handle to close it. Compared with Sandero, Logan does not look like a champion in practicality. Compact Renault sedan is the owner of the trunk of 500 liters. It is convenient to use them at the expense of a wide aperture and low loading height, however, Logan has much less transformation possibilities. Of course, the rear seats also fall forward, but the volume at the same time increases less than twice - up to about 820 liters, if we consider the loading of things to the level of the windows. 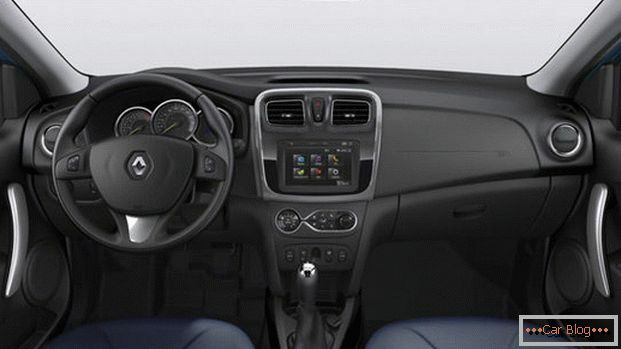 In addition, a powerful body amplifier at the Renault Logan makes the opening between the cabin and the trunk very small, and does not allow to transport such large items as plasma TVs. Logan is definitely a minus and the complete lack of trim tailgate - there is not only the handle, but even the elementary plastic or fabric upholstery. It may seem that the comparison of two cars equipped with the same engines and chassis components will be useless. However, this assumption will be completely wrong - after all, the distribution of mass across the axes of Sandero is different, which can not but affect the handling of the hatchback. The less loaded rear part of the Sandero may seem to the lonely passenger to be too rigid, but it’s worth getting into the car together or three, as the expected smoothness is achieved, as is usual for the Logan. If you look at the situation from the driver, the hatchback from Renault reacts more sharply to the helm and provides better feedback. But this advantage has a downside - when driving minor irregularities, the steering wheel fluctuates much more than on a sedan. Logan is uncompromisingly comfortable - even when there is only a driver in the car, it is not perceived as tough. 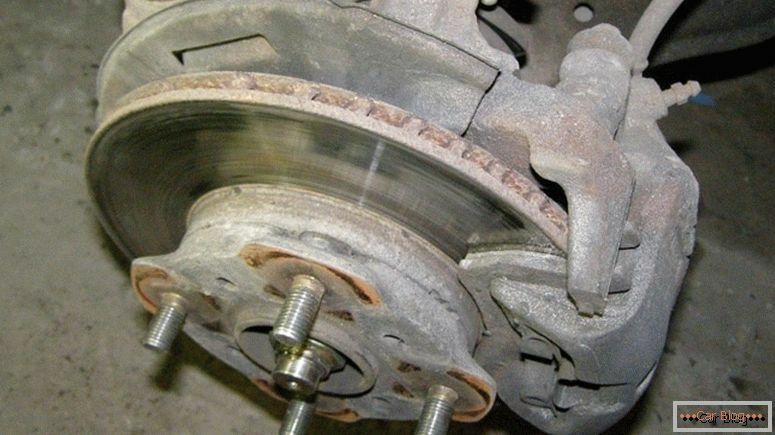 Suspension of all four wheels works perfectly with the passage of irregularities, without creating strong blows. 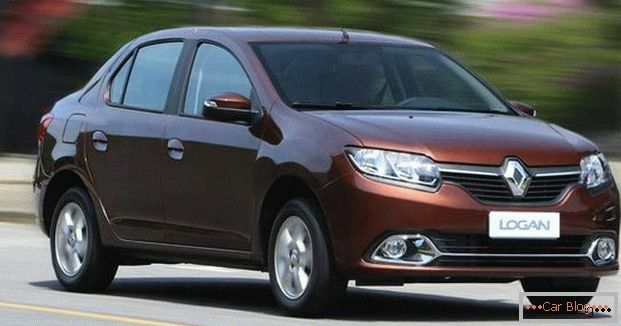 Renault Logan also moves more confidently along a bad road - even large pits and other road obstacles are not able to deviate from the course chosen by the driver. But even in this feature you can find your minus - too soft suspension makes you turn the steering wheel a little earlier to select the desired trajectory. 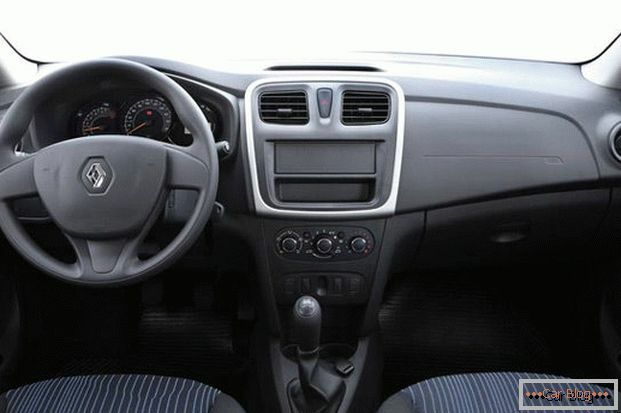 Accordingly, Renault Logan is perceived as a car for a calm and unhurried person, who values ​​comfort above all else. On the leisure can argue, because when equipped with the same engines Renault Sandero can not get ahead of the sedan. Both cars accelerate to “hundreds” in approximately 10.5 seconds, and stop acceleration at 180 km / h. A similar problem Sandero and Renault Logan can also be called high fuel consumption, which reaches 10 liters when driving in the city. You can get rid of it only in one case - by choosing a car equipped with a diesel engine, but such modifications are not offered on the Russian market. But Logan takes the comfort of the chassis and constancy of character, regardless of the degree of load on the car. Therefore, it will appeal to older people who want a simple and convenient machine that can quickly move them between two points. If we talk about Renault Sandero, then the target audience of this car are young people who want to see in the car a combination of comfort, the ability to transport large items for the repair of an apartment and good handling. 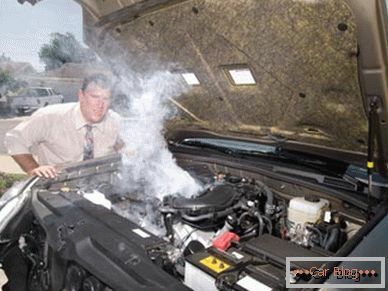 What to choose: antifreeze or antifreeze?